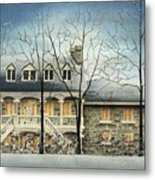 Symmes' Inn is a painting by Catherine Holman which was uploaded on October 7th, 2010. 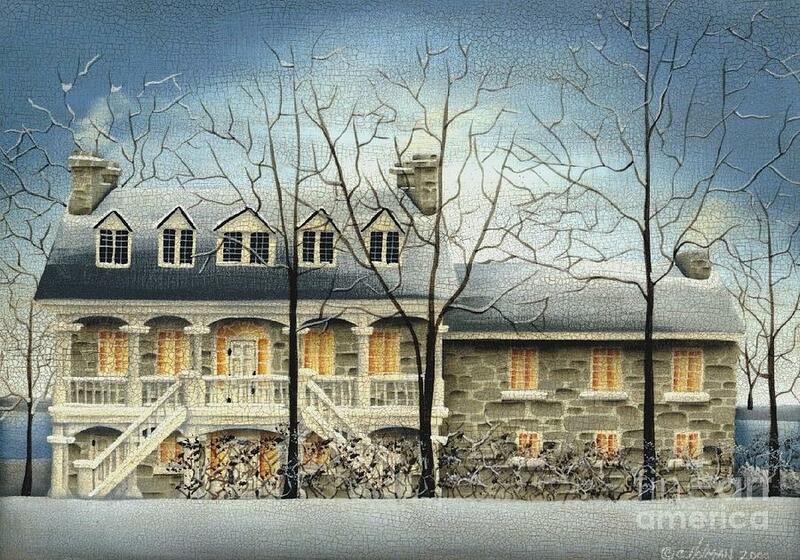 The beautiful old stone Inn in Aylmer Quebec sits along the waterfront and was built in 1831. 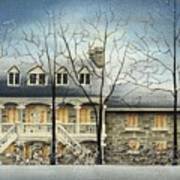 Passengers who arrive from Montreal on steamships rest their weary heads in this beautiful hotel with decorative verandahs. Edward and Julia met on board a steamship 2 years ago and have returned to Symme's Inn for their wedding. Friends and family have traveled with them to celebrate this wintery event. Thanks Teresa and Fran. 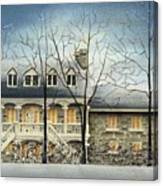 I painted this several years ago while teaching a painting seminar in Alymer, Quebec.